When your job involves fighting fires, nothing but the best will cut it when it comes to protection. This includes your work footwear, of course. When you’re wearing Danner Men's 18102 Flashpoint II Fire-Resistant USA-Made Boots, your feet are wearing the best. ... (see full details) (see specifications) #DNN18102. When your job involves fighting fires, nothing but the best will cut it when it comes to protection. This includes your work footwear, of course. When you’re wearing Danner Men's 18102 Flashpoint II Fire-Resistant USA-Made Boots, your feet are wearing the best. The 8-ounce leather on this footwear is resistant against water, abrasions, punctures, and fire. We know that you have enough on your mind when you’re fighting fires. So you can take that next step with confidence knowing that the handcrafted stitchdown assembly of these puncture-resistant boots provides you with superior stability, thanks to wider platforms you can rely on each day. Standing 10 inches tall, these men's shoes offer maximum protection for your feet and then some. Stitchdown construction also means a secure, durable connection between the uppers and insoles of these black boots. It adds years to the life of these Flashpoint II shoes, as well because of how easily they can be re-soled. The fire-resistant triple stitching gives this American-made footwear further endurance that'll keep you from needing a new pair any time soon. They also feature steel shanks, so you can put in a demanding day’s work, but rest assured your arches won’t have to shoulder the complete weight of your labor. These water-resistant boots are manufactured with Vibram 360-degree Fire Logger outsoles. These outsoles are perfect for the unpredictable footing you face when fighting flames. The lugs are angled specifically to give the wearer better traction, which means greater stability. Significant edging will also help you make your next step the safest around liquids. Of course, just like the leather, these durable outsoles are abrasion- and water-resistant. 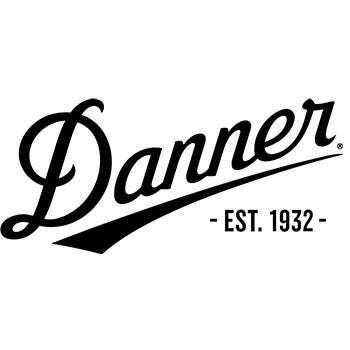 With Danner Men's 18102 Flashpoint Fire-Resistant Water-Resistant Black Leather Boots, you get a great combination of protection protection, support and stability that's been made right here in America. When you’re up against the demands of fighting a fire, what more could you ask for, besides a day off? These are great fire boots for woodland firefighting. I have worn these boots for years as a wildland firefighter, prescribed firefighter and for other forest work in all types of terrain. Once the boots were properly broken in they became extremely comfortable. The boots successfully protected me from rattlesnake strikes on two occasions. They offer excellent grip and traction as well as heat protection from flame or when walking on glowing embers from burning logs. Danner makes great boots. You can't go wrong with these. Danner Boots: Men's 18102 Black USA-Made Flashpoint Fire-Resistant Boots is being added to your cart.